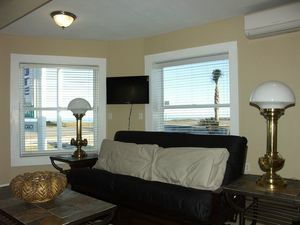 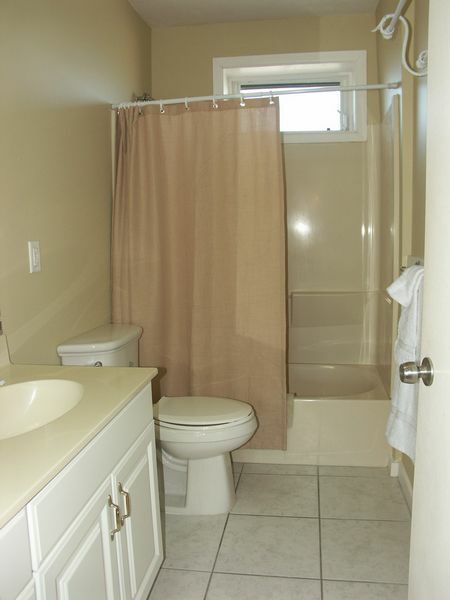 Max Occupancy: 6 Newly renovated and attractively oceanfront one bedroom that sleeps six people. 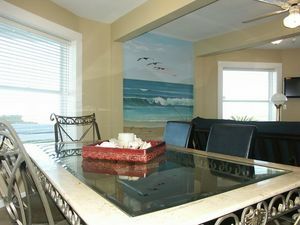 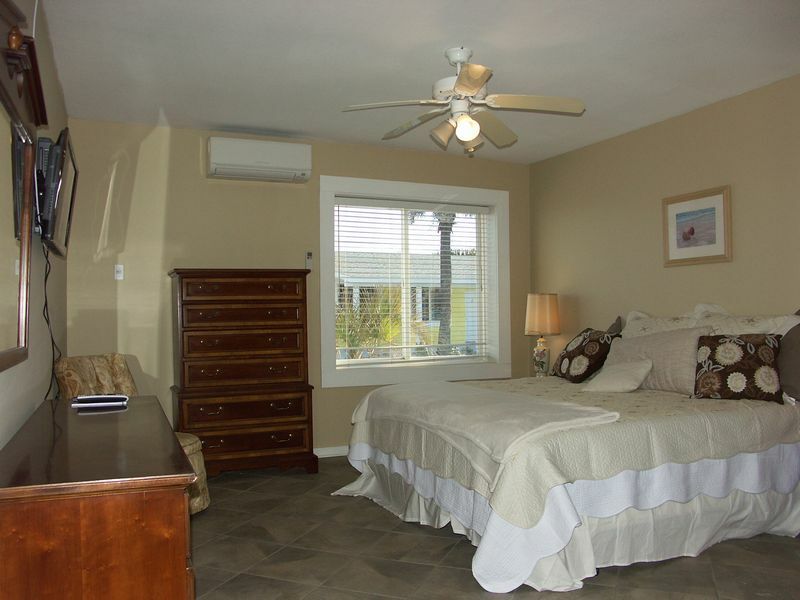 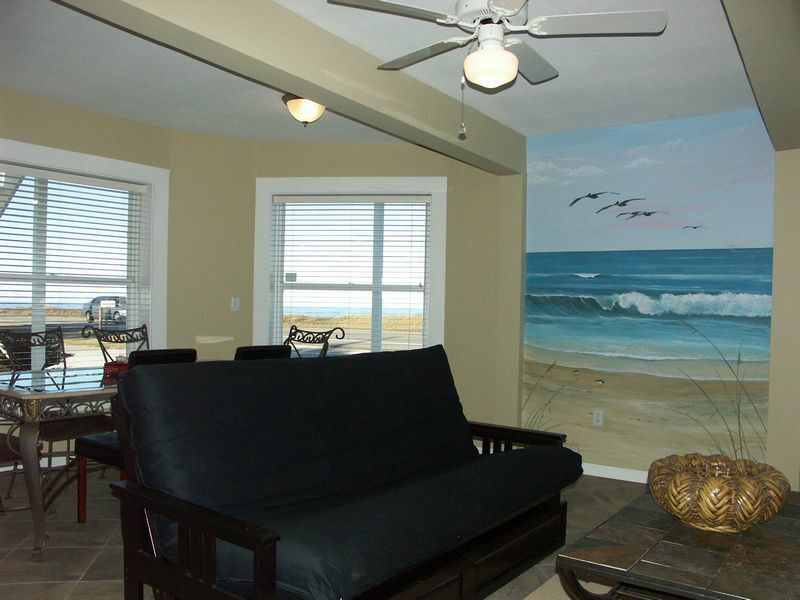 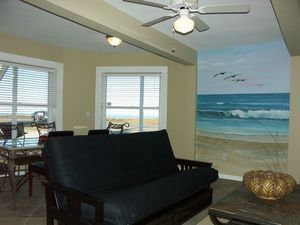 Each room is decorated with murals and/or art work by local Flagler Beach artists. 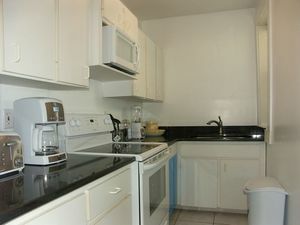 Full sized, fully equipped kitchens for comfortable longer-term stays. Most units include stove, refrigerator, microwave and dishwasher. 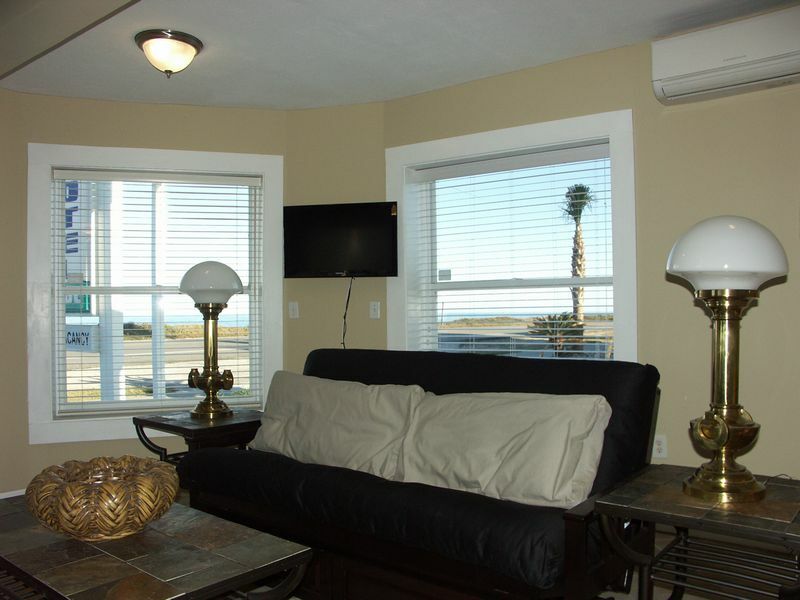 Every rental has one or more flat screen TV with over 100 Direct TV channels including numerous sports and movie channels.